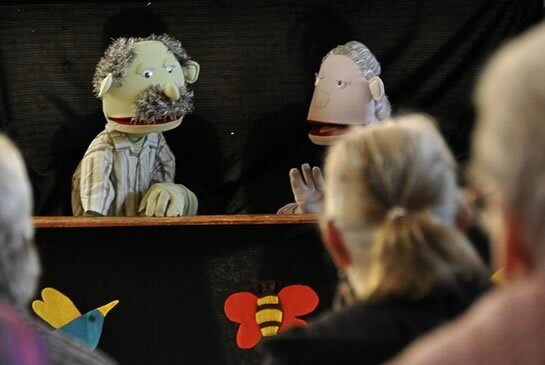 The Umnyama Puppet Theatre is on the road once again, educating and entertaining the elderly at senior clubs all over the Western Cape. The puppets enact typical situations older people in South Africa face on a daily basis, like financial scams and greedy grand children. 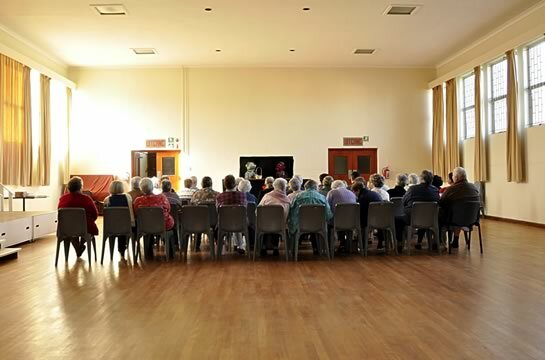 The light-hearted theatre is followed by a more in-depth introduction to the protection of the elderly in terms of the law, a Q&A session, and a hand-out of Umnyama’s informative brochures on land restitution claims and social grants scams. Eighteen shows have already been completed, reaching out to 800 (of the aimed total of 1500) seniors. 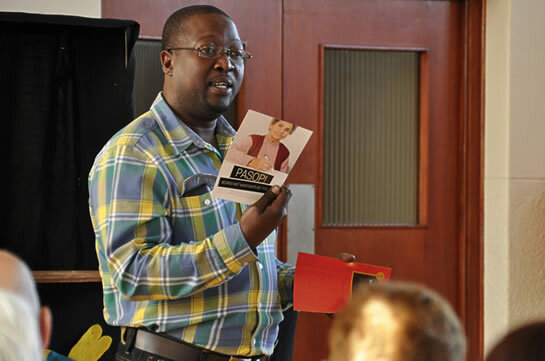 The Department of Social Development (DSD) appointed Umnyama to educate and capacitate senior club committee members on how to manage an organisation like a senior club. This workshop is mainly aimed at senior clubs that aim to comply with (or refresh) the DSD’s rules and regulations, in order to apply for funding from the DSD. What are the different roles for the committee members? 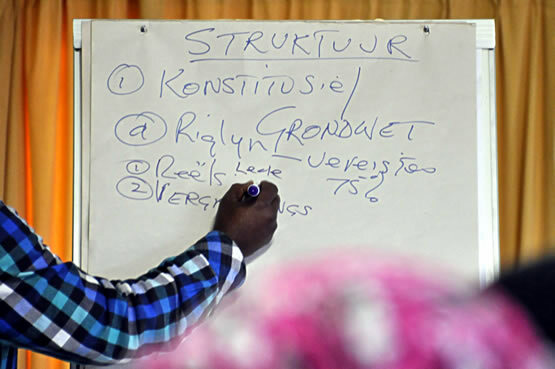 What is the role of the organisation’s Constitution? How to compile a budget? How to keep records of books of account? How to report to the DSD? 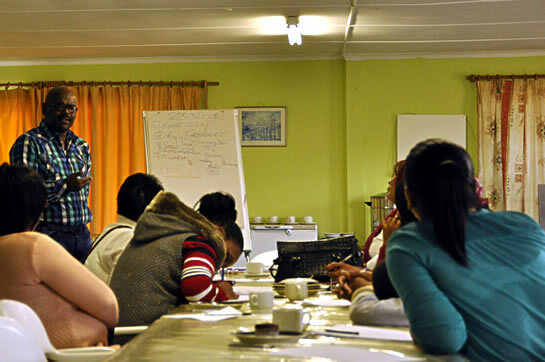 Twenty senior clubs all over the Western Cape will be visited by Umnyama’s facilitor team in 2015. Some senior clubs are in trouble, and need help. The board members fail to meet, they fail to submit financial and operational reports to the Department of Social Development (DSD), and the DSD threatens to withhold funding, or cancel funding entirely. Umnyama assists five senior clubs in Paarl, Wellington, Ashton, Hermanus and Worcester to get back in line, compliant with the DSD’s rules and regulations. Umnyama is drawing up a plan of action for each and every one of these clubs, and in close consultation with the clubs, assists them to resolve problems within the clubs. 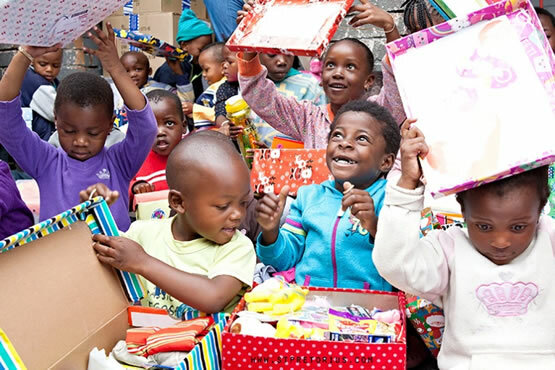 Ilse De Vlieger and Nicola Wooding are once again collecting 650 shoeboxes – Christmas presents for children from indigent backgrounds in Paarl and Wellington – for the national Santa Shoe Box project. This year’s drop-off point will be at Wellington Preparatory School. To pledge a shoebox for a child in your area, go to the Santa Shoebox website.